At 98 Gym we start our weeks with an Interval Training Sessions. They have fast become one of the most popular sessions among our members and trainers. What is Interval Weight Training (IWT)? A highly sophisticated and effective means of multi-variable cross-training to optimise performance in a wide variety of sports. Through the proper selection and manipulation of IWT intensity (load, intensity, volume, and frequency of training) an extremely high level of total athletic fitness can be achieved. Why start you week with an IWT session? Why do we start with an IWT? Its simple yet important. Monday is when you are rested from the previous weeks training, you can handle the intensity and volume we throw into this session. The movements can be complex, so they require a well rested body. Second its great to wash away the sins of the weekend, we all blow out…this session keeps you honest, lets you know where you sit. 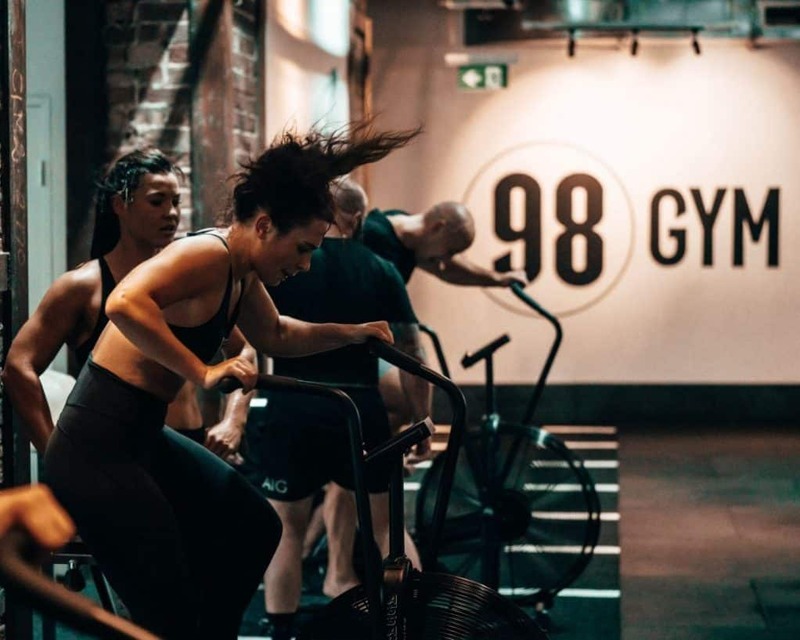 What would a typical 98 Gym Interval Weight Training Session look like? We generally take a strength or power movement and chase it with some sort of anaerobic or aerobic interval, anywhere between 30 seconds to 3 mins in duration. We usually hit two main sets of three rounds with a supplementary set to finish. Depending on the cycle of training/aim of the session we assign the appropriate rest ratio. Keen to start hitting up some 98 IWT’s? They feature every Monday on the 98 Program. Become a 98 Online Member today to get started. First 7 days are free.